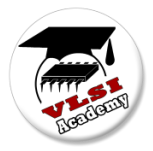 VLSI Egypt is proud to announce that it is organizing a "Functional Verification Workshop" with emphasis on UVM in collaboration with Boost Valley. The workshop will be given by experienced industry Engineers. The workshop will be given through three sessions in April. The class size is very limited to ensure more interactivity. Those accepted in the workshop will be eligible to a summer internship in Boost Valley in Summer 2015. All details are shown below. Please apply using the form below and note that the application deadline is Friday 27/03/15 @11:59pm. Accepted applicants will be informed via email.